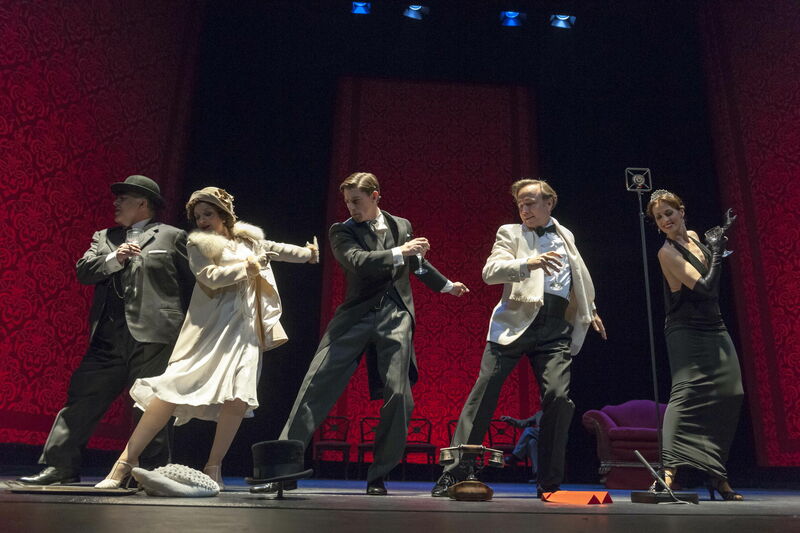 After the success at the Teatro Español de Madrid “The Kings Speech” has started a Tour around Spain. This stage adaptation of the Oscar-winning film (best picture, best actor, best director and best original play) has been produced by José Velasco, president of Zebra Producciones. Magüi Mira directs the adaptation of David Seidler’s play, realiced by Eminilo Hernández. Starring Adrián Lastra and Roberto Álvarez, with Ana Villa, Gabriel Garvisu, Lola Marcell and Ángel Savín as main cast. The story takes place between the speech of Prince Albert at Wembley in 1925 and the speech as King George VI in 1939, to communicate that war with Germany had been declared. The text describes not only an outstanding fact of our history but it delves into the power of speech and eloquence, the fragility of a King that needs to use his voice to reach English homes through the radio, tells a story about friendship of two ordinary men struggling to overcome a problem, the unconditional love of a spouse. Love and humor as a therapy.